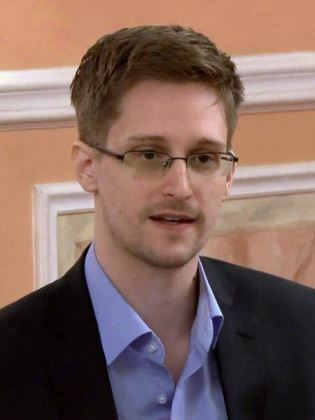 The whole world has been agitated in the last few months over the release of the Snowden Documents, a disclosure of classified information of some secret US surveillance programs to the press. The exposed programs surveilled American citizens and state leaders throughout the world. The greatest annoyance was caused by the discovery that even the phones of US ally leaders, such as German Chancellor Angela Merkel and Brazilian president, were surveilled. Whether justified or not, Edward Snowden – one individual man – created so much damage for the US national security, diplomacy, and internal public support, that this is regarded as the most significant leak in US history by the Pentagon. One man is affecting a whole country in an unprecedented way. The point is not if this is a good thing or a bad thing. The point is that this is even possible. In the past, such a provocation could not have had the impact it has these days. At least not immediately. But with the Internet, materials can get to the other side of the globe virtually instantaneously and get published in a host of media very soon after. The tools that the emerging influence of the Age of Aquarius is bringing about are giving immense powers in the hands of one person. There is no need for huge armies, no need for intrigues and politics, no need for heated mobs, or sophisticated logistics to create a great impact. All you need is one individual who decides to take action. Yes, this individual needs to be highly driven, many times by a higher ideal, such as the right for privacy like in Snowden’s case. This is a classical Aquarian influence, since Aquarius tends to be idealistic and humanitarian, and it is highly communicative and inventive. When that combines with the very typical rebellious nature of Aquarius, there you have it. Snowden’s is not the first case in the last few years. One of the main players in this still unfolding story is the WikiLeaks founder, Julian Assange. 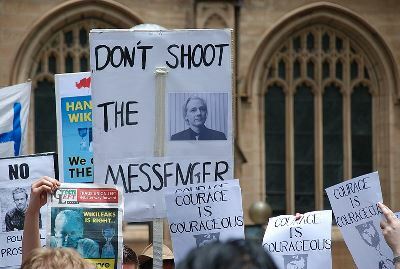 In one of his founding essays, he set up the philosophy for WikiLeaks, “To radically shift regime behaviour we must think clearly and boldly for if we have learned anything, it is that regimes do not want to be changed. We must think beyond those who have gone before us and discover technological changes that embolden us with ways to act in which our forebears could not.” [Assange, Julian, 10 November 2006, “State and Terrorist Conspiracies”; Assange, Julian, 3 December 2006, “Conspiracy as Governance”]. What a perfect way to describe the Aquarian new age! As humanity gets closer to the actual cusp between Pisces and Aquarius in 2100 AD, we are likely to see more and more such events, where a single individual, backed by technological means and perhaps backed by similar people through the social networks, challenges what used to be almighty superpowers. Ultimately, the old-fashioned way of running state affairs and other institutional politics might become too vulnerable and collapse. Copyright © by AquarianSigns. All Rights Reserved. This entry was tagged Age of Aquarius, Democracy, Globalization, Social Networks, Technological Age. Bookmark the permalink.